Ed has over 10 years of experience as a litigator, which provides him with a unique point of view in helping companies effectively manage their legal and regulatory risk. He specializes in representing businesses, their owners, officers, and directors in commercial litigations, arbitrations, mediations, government investigations, and enforcement actions initiated by federal and state regulators. Andrew G. Bunnell serves as Of Counsel to the reputable Scafidi Juliano, LLP firm in Massachusetts. A diverse attorney, he’s known as a trusted and respectable advisor to his clients, providing representation and counsel in the areas of personal injury, probate and estate matters, real estate, business formation, employment disagreements and commercial partnership disputes. Matthew Hamilton is the General Counsel and Corporate Secretary for GlyEco, Inc. His responsibilities vary - he is required to draft, negotiate and review major contracts as well as administer corporate government functions and counseling management on a wide range of issues. Matthew was awarded the CALI Award regarding Writing for Law Practice. 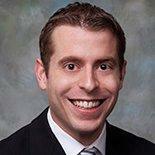 He attended Arizona State University College of Law and received his Juris Doctorate in 2012. Katie Rock is a corporate law attorney with over 10 years of experience. She is licensed to practice law in California. Katie focuses on legal matters related to commercial contracts, business formation, employment law and other corporate practice areas. She attended the University Of Michigan Law School, where she obtained a Juris Doctor degree after graduation. Katie is both the founder and a general counselor at Activyst. Between 2015 and 2016, she was also the head of legal at Cargomatic. Donald Hammond is experienced in criminal defense, business litigation, and aviation law. Admitted to all California state courts, the Federal District Court for the Central District of California, and the U.S. Supreme Court, Don also represents clients in administrative hearings including the Board of Parole Hearings and Federal Aviation Administration. He also is an instrument-rated pilot. 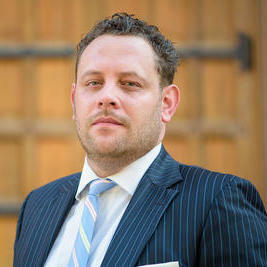 Simon Brody primarily serves as an outside general counsel. He represents both domestic and international companies. Simon obtained a license to practice law in Missouri four years ago. He has represented Abaris Financial, Synergyse, Simppler and various other corporate clients. Simon received his law degree from the Washburn University School of Law. 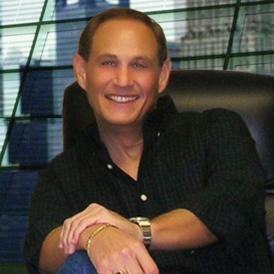 He has been operating as a private practicing attorney since 2012. Why use UpCounsel to hire a Burlington Employment Attorney? Our experienced Burlington employment attorneys & lawyers can help guide you on how to proceed with various employee decisions such as reviewing employee documents such as contracts, agreements, policies, and handbooks, along with difficult decisions such as firing, lawsuits, claims, and complaints. A confidentiality agreement and a non-compete agreement are common forms of employee contracts that one of our Burlington employment attorneys can help customize for your business. If your business needs to fire an employee, proper measures should be taken from a business legal standpoint to ensure proper communication and a smooth transition of dismissing that employee. In any case, we suggest you connect with our employment attorneys to discuss your options. Improve Your Legal ROI with Affordable Employment Attorneys that service Burlington, KY.
Want to Connect with Top Burlington Employment Attorneys & Lawyers?